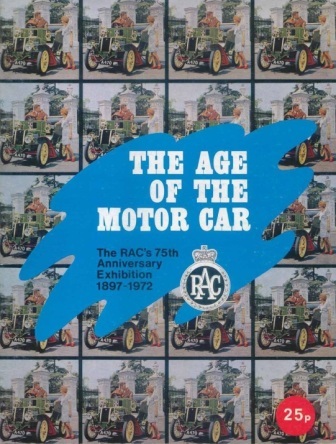 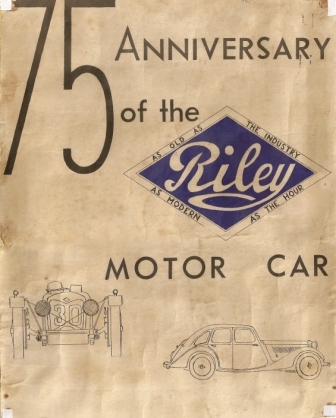 RAC 75th anniversary poster "The age of the motor car" featuring a Riley. 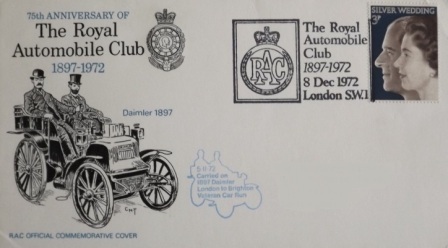 To accompany the roving exhibition a book was available and even a commemorative envelope, carried on the London to Brighton run. 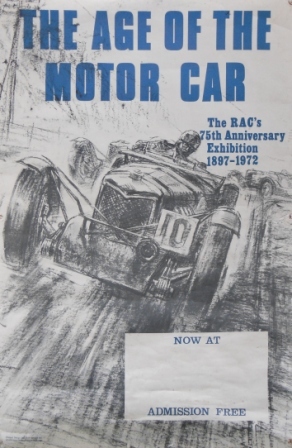 Print, I assume was a free gift with an issue of "The Automobile" magazine showing a full set of 25 cigarette cards including Riley. 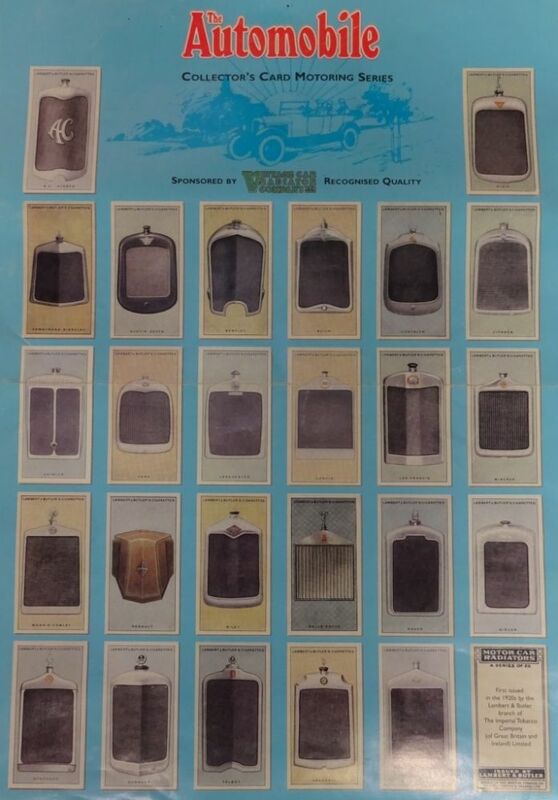 A clearer picture of the Riley card can be seen on my Cigarette cards page. 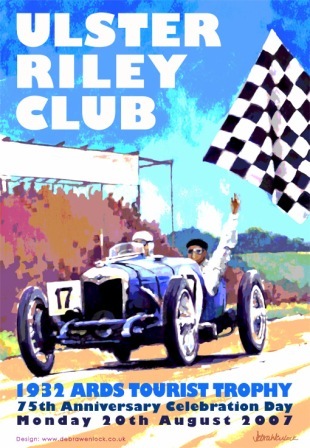 Ulster Riley club poster celebrating the 75th anniversary of the 1932 Ards TT. 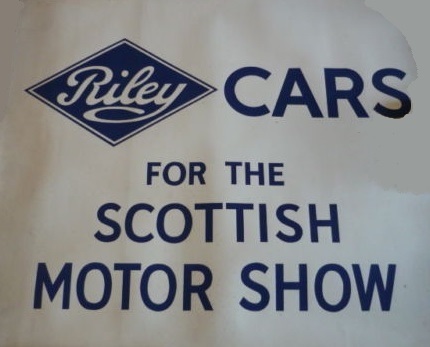 See also Riley_Art_at_Ards . 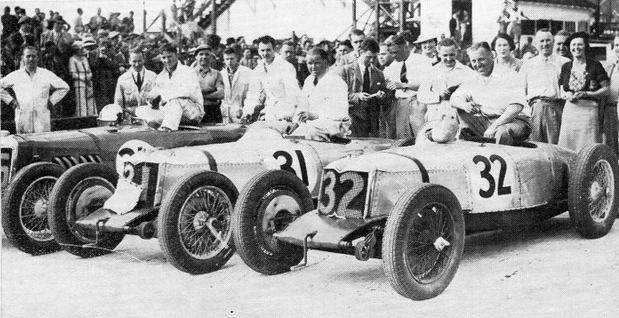 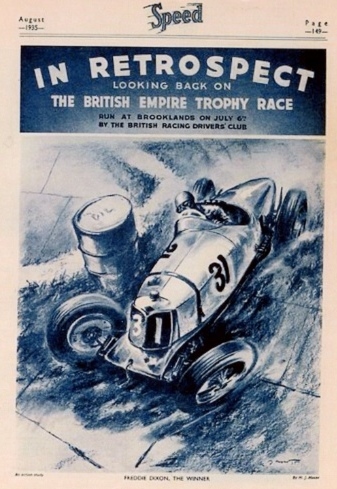 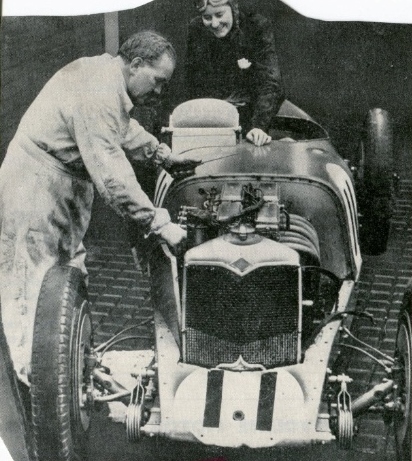 Also the front cover of "Speed" magazine and some pictures from the circuit showing Freddie sat on his car number 31and with Fay Taylor at a different venue I guess as the number 11 is not correct for this race. 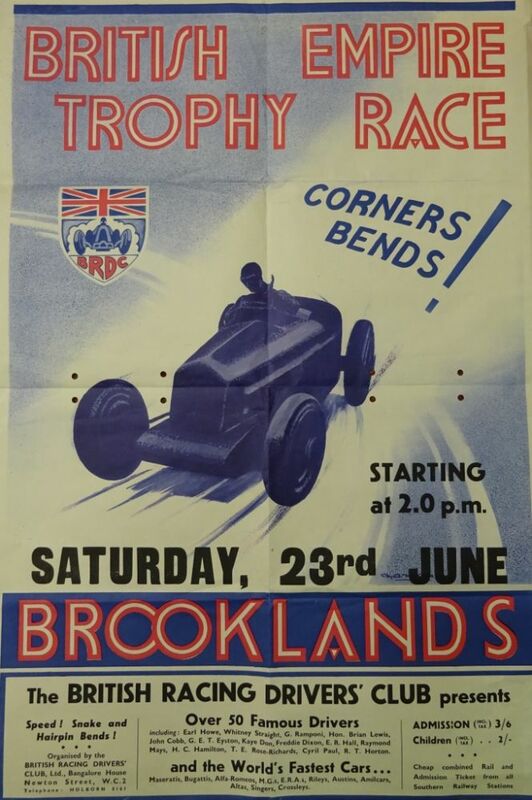 The race was organised by the very exclusive British Racing Drivers Club, more details on the club here - http://www.brdc.co.uk/ . 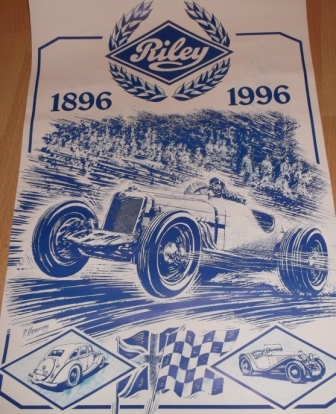 The first print is a copy seen at Shuttleworth , reproduced here with their kind permission.